In this episode Kris Miller shares with us how she “tracks aliveness” & uses herbs in her therapy sessions with clients. 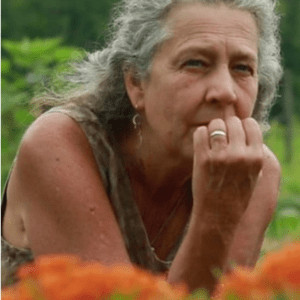 She studied plant spirit medicine with Pam Montgomery, herbal medicine with Rosemary Gladstar and is a co-director at Heartstone Herbal School with Tammi Sweet from episode 2. They have developed a brand new course at their school called Journey of the Heart that brings students through a whole year of transformation through the seasons. At the time of this recording it was a year away and now at the time of this release it is half way through the first year and it is going amazingly well. Kris is one of my teachers, mentors, and is just so so wonderful. I had such a great time interviewing her and I truly hope you will enjoy it. Shows are recorded & produced by Friede Sander with help from Ryan Clover and recorded in the studios at WRFI or in our mobile recording honda element, Theresa. If you have enjoyed this show please leave us a five star rating on I-Tunes. It really helps! ← Kara Timmons – Physicians Assistant & Clinical Herbalist?